In mid-summer 2015, Jeanette and I opened our Westar bill and I said, “This is it. 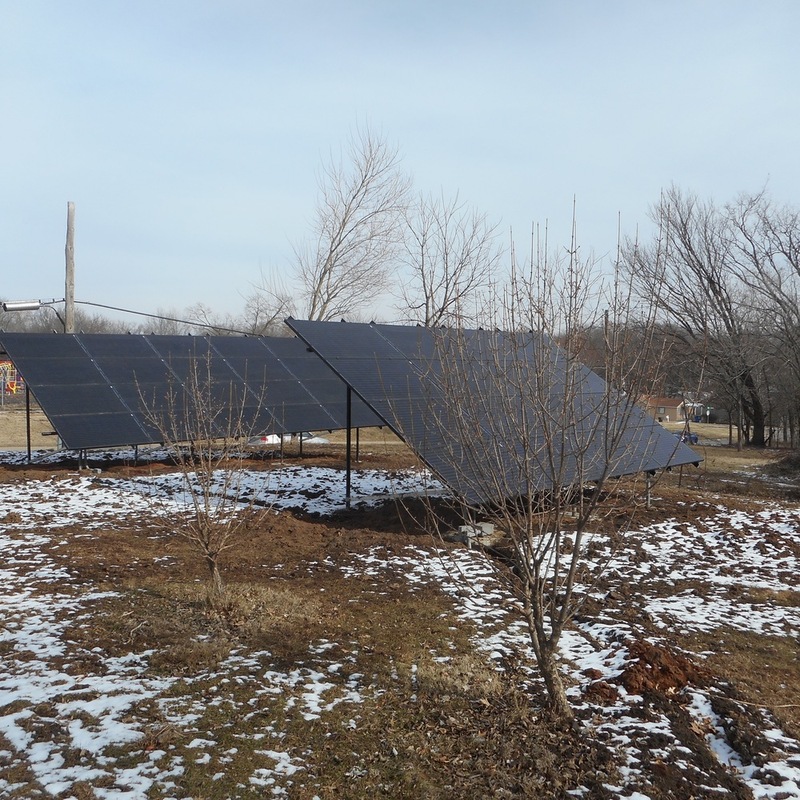 We are going solar.” We were not sure of the process, since our property is on the historic registry, but we started by calling local solar power companies, then, after some estimate comparisons, decided on Cromwell Environmental. 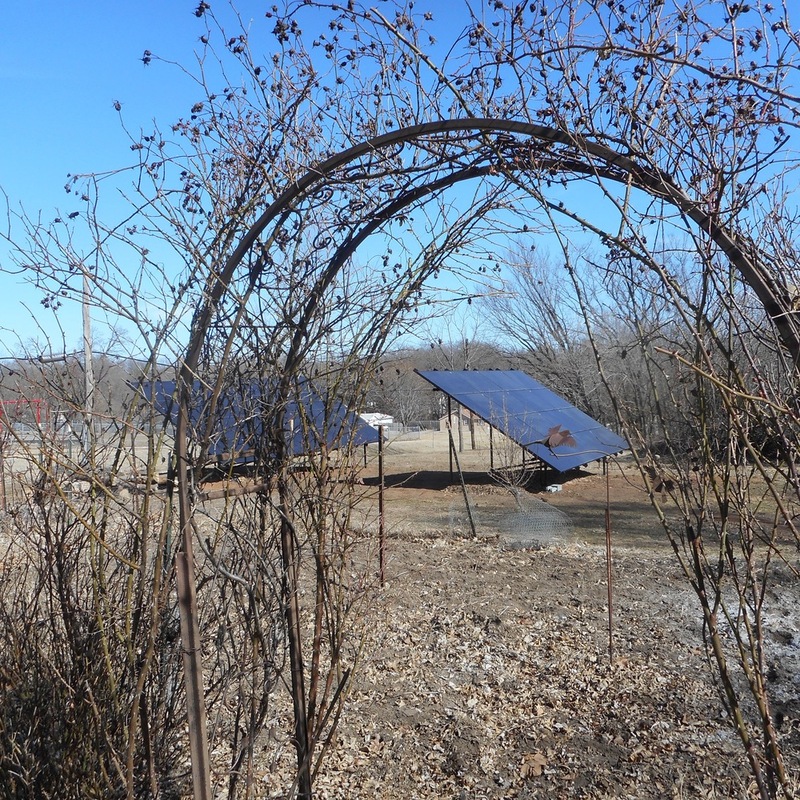 There were two possibilities for our property, an installation on the south-facing barn roof and a ground mount system in the field on the east side of our property. We first liked the barn roof installation, since it hid the panels from the street, but this involved removing some big trees, doing some architectural modifications to the barn rafters, a limited panel count and questions about what to do about the inevitable re-roofing the barn. So, we went with a ground mount system of two arrays – one with 20 Suniva Optimus panels and a second with 16 of the same. The system produces 9.36 kw of power enough to cover most of our electric needs and to add electricity back into the grid. Maybe you have seen the back side of the two panel racks if you haven driven east of Haskell on 15th street? Cromwell was really a great decision. They handled all the essential permits, even the one from the state historical society. The office staff gave us weekly updates on the progress of the project and answered our questions all along the way. Their crew began work in early December and we were up and running before the first of the year. The installation was not cheap, but the panels are humming along, stealing energy from the sun to run the house in the daytime and add to the grid any excess. Cromwell gave us an yearly estimate of energy savings, and by paying for it upfront, we will break even after 12 years and the 30% tax rebate helps defray some of the initial costs. According to the estimates, 90% of our utility bill is covered by this array and over 25 years, the system avoids 777,386 lbs of CO2 pollution. We will save $95,934 over the same period. I'll be in my 90s by then and Jeanette a few years younger, but we will will be rolling in the dough saved from installing solar. I just wish we had done it sooner. The Kibbee's, who built the house and barn in 1910, were proud of all the concrete they poured around the property from the sidewalks to the paddock to even the concrete floored chicken coop. 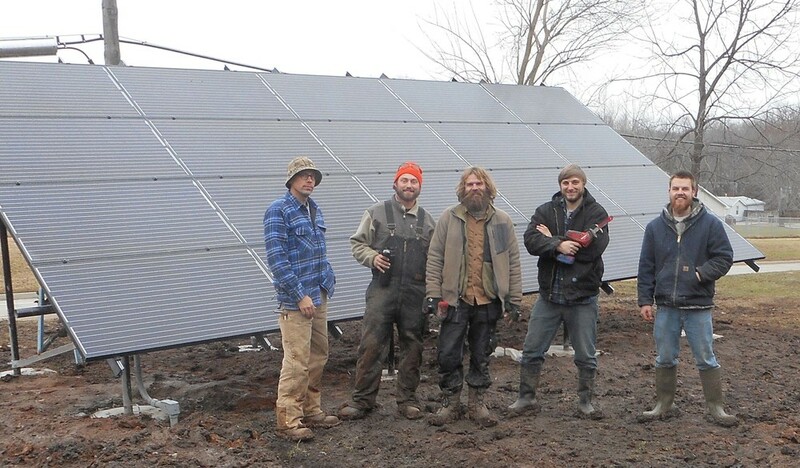 They left it for the future and we have done the same with these solar panels.